Transport yourself back to the 6th century BC and the time of the Ancient Greeks when you visit Agrigento and the Valley of the Temples in Italy. This incredibly well preserved series of temples and buildings is one of Italy’s most famous archaeological sites and a must visit on your trip to Sicily. Here you wander in awe of the civilisation that built and lived among the huge monuments and wonder how they stood the test of time. Almost 2,000 years ago, before the rise of the Roman Empire, Greeks ruled Sicily and left their mark with a series of important cities and sites. Where Agrigento and the Valley of the Temples are found today was the huge site of Ancient Akragas, a wealthy city of as many as 500,000 people and one of the most important in Ancient Greece. The city was founded in around 580 BC and prospered until it was conquered and destroyed by the Carthaginians in 406. Over the centuries the area was under Roman, Arab and Norman control, largely due to its strategic position overlooking Porto Empedocle and the Strait of Sicily. All left their mark at Agrigento and the Valley of the Temples shows evidence of all these civilisations. It wasn’t until the 19th century that the area was rediscovered by archaeologist Domenico Antonio Lo Faso Pietrasanta and restoration work began. Along with the amphitheatres in Taormina and Syracusa, the Parco Valle dei Templi are some of the most impressive Greek ruins in Sicily, if not the world. The park was awarded UNESCO World Heritage status in 1997. The site at Agrigento is not a valley in fact, but a ridge, sitting 230 metres above sea level. Akragas’ ancient temples stand looking majestically out to sea and the surrounding countryside. They are a formidable sight now, so I can only imagine the awe they inspired in the people that lived in the city when it was built and those that came after. As you walk through the site, the doric columns of the temples rise before you and you wonder.. how were they ever built and raised? Who were the architects and builders? And what inspired such worship? Standing almost as it did when it was first built in around 440BC, the Temple of Concordia is simply an incredible sight. One of the best preserved Greek temples found anywhere in the world, at its highest point the monument is almost 17 metres. Each of the 78 columns measures 6 metres and is decorated with flutes or ridges. The temple is named after the Roman goddess of harmony. The broken statue of Icarus that lies dramatically near the base of the Temple of Concordia is a modern interpretation of the classical style by Polish artist Igor Mitoraj. Icarus with the broken wing is all that remains of an exhibition of 17 statues by the artist that took place at the Valle dei Templi in 2011. This temple celebrates Juno (Hera in Greek) – the protector and special counsellor of the state. Similar in size to the Temple of Concordia, the Temple of Juno is also an example of the doric style. While Concordia is magnificent in its preserved state, I love the faded beauty of this temple that has stood through the centuries. Thought to be the oldest of the temples due to the style and number of columns, the temple is dedicated to Heracles (Hercules in Latin) the son of Zeus. In the 19th century, pieces of several monuments were used to build this structure which is now the symbol of modern Agrigento. What is now a beautiful garden full of citrus and olive trees was once an enormous swimming pool for the Ancient Greek inhabitants of Akragas. Eighteen tunnels fed the pool with water collected from higher ground that had been passed through a complex system of aqueducts. Fashioned out of existing cisterns, these burial holes date from the late-Roman and Byzantine eras. There are spectacular views of the coast through some of them. We found there wasn’t great information for visiting the site so have put together this guide to help with planning your visit to Agrigento. The park is open from 8:30am till 19:00pm daily. There are extended opening hours from mid July to mid September until 22:00pm and sometimes later. Check the official Facebook page for announcements of closures and extended opening hours – their site is awful. Allow around 3 hours for your visit. There is a lot to explore along the 2.5km route. Ticket prices are €10 for adults which includes an audioguide [August 2017] Children under 18 are free – do bring ID for teenagers. There is a separate admission of €3 to enter the Garden of Kolymbethra. You can only buy tickets at the main entrances at Porta Quinta Sant’Anna and near the Temple of Giunone (Temple of Juno). You can visit the Valley of the Temples all year round however there are some things to consider. In summer temperatures are often 35-40 degrees centigrade on the ridge so you might want to consider visiting very early in the morning or in the evening just before sunset. During the summer months, you can visit at night time when the temples are illuminated – an absolutely spectacular sight. As I mentioned earlier, the site is on a fairly exposed ridge and is about 2.5 kilometres in length. Make sure you have comfortable walking shoes in all seasons as the path is rocky and rough in places. If you visit in summer make sure you bring plenty of water, a hat, sunscreen and some snacks unless you want to stop at the onsite cafes and restaurants. During winter you will need a jacket and water too. I think the best way to view the site is to walk from one entrance to the other. The distance is around 2.5km and it is quite an easy walk along a man made path though the ground is a bit rocky at times if you want to get closer to the monuments. We visited with our three year olds and they managed well without a stroller but with lots of stops along the way. Please note – you can get close to but not clamber over the Concordia and Juno temples for obvious safety and conservation reasons. Guided tours are offered at the entrance or you may choose to read the many detailed boards of information at each monument written in English and French as well as Italian. Please note – for some reason individuals must buy their tickets from the ticket offices on site which can be frustrating if you have prepaid a tour! 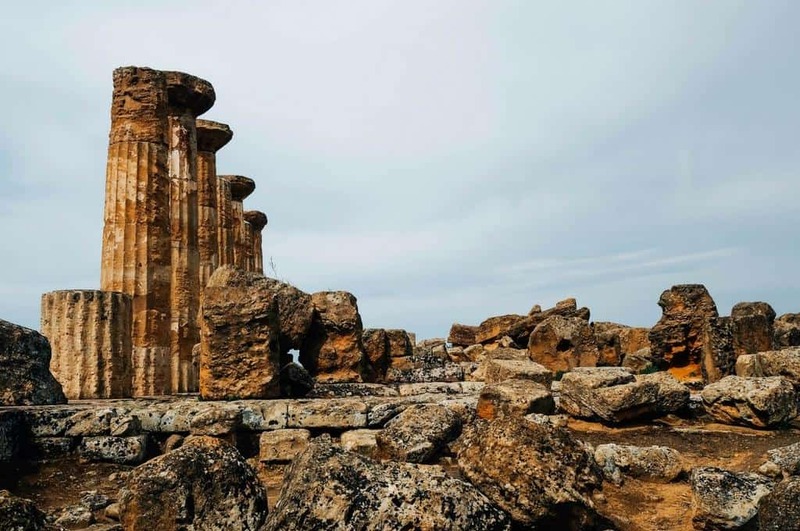 But if you want to take your time exploring this amazing site and the Agrigento area – and you should – your best bet is to hire a car and spend some time in the area. Driving in Sicily is fine if you do some pre trip preparation – read our tips on driving in Italy if you are unsure. We recommend using Auto Europe because of their flexible drop off and pick up options and competitive prices. Parking at Parco Valle dei Templi is safe and easy. There are two car parks located at the main entrances – Porta Quinta Sant’Anna and near the Temple of Giunone (Temple of Juno) ticket office on Via Panoramica Valle dei Templi. The cost seems to vary between €2-5 – for no known reason except.. it’s Sicily! If the weather is hot, cold or you are travelling with children or people with mobility issues I recommend taking one of the local taxis from where you parked to the opposite entrance so you only need to walk one way through the 2.5 kilometre site. It does seem like a bit of a scam at €3 per person but it is a long day out in the elements exploring the site and your feet will thank you at the end of the day. Have you been to Sicily’s Valley of the Temples? I would love to return for the sunset visit – how magical! Do let me know if you have any questions that remain unanswered – I’m happy to help. Disclosure: There are some affiliate links in this post. This means that if you choose to make a purchase after clicking on one of the links I may receive a small commission. Your purchase will help support this site and my coffee habit. Read my full disclosure policy. Gorgeous! My husband always jokes that you can make me happy with ‘old piles of rocks’ and he is not wrong! This looks like my kinda place! The British Museum had a Special Sicily exhibition a while ago that really made me want to visit and now you have made me certain that I must! Temple of Concordia looks very much like the Parthenon in Athens, it does make you wonder how these ancient buildings were build without the modern technology that we now have. I find them more appealing compared to the modern building, its history makes it all the more interesting. This looks totally up my alley! I could easily spend a few hours wandering amongst these structures. I love how some of the remnants of the temples are a bright earthy colour. We haven’t made it to Sicily yet, definitely on the list! Will get there one day. I love visiting ruins they are so fascinating would love to visit. We went in 2001 and remember very little about it so thanks for the reminder. We loved our Sicily visit, especially Taormina & Syracuse. Oh great Kat – I like learning new things too! 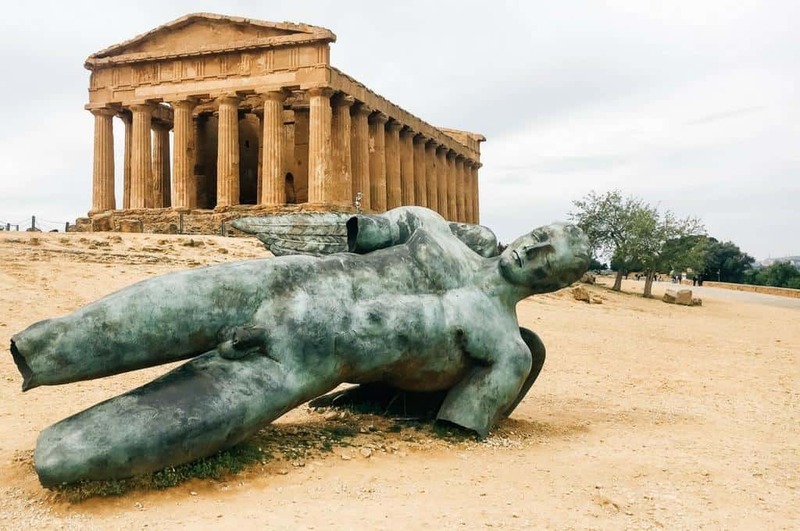 It wasnt until I started researching our trip that I found out about Agrigento. As soon as I saw it I knew I had to go! The Valley of the Temples looks absolutely gorgeous! 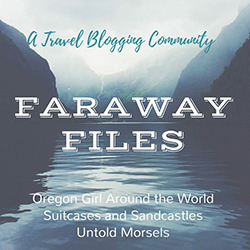 I don’t know why I’ve never heard of it before – but the fact that it’s so off the beaten path means you got all of these beautiful pictures without people in them! So true Addie, I would have been quite cross if I had too many other people in my photos! Isnt it funny how our travel styles change over time? I used to be quite the party girl many moons ago, now I just think I am going to miss out on too much! Ah me too, I think some of the statues made their way to Pompeii too which also added to the atmosphere. This is fascinating. I can’t even fathom 580BC, I get excited when something was built in the 1300’s lol. When I was younger, I was huge into Greek Mythology and to see something like this in person would be so amazing! This would keep me entertained for a long time – love an ancient temple, just in case I needed another temptation to visit. Having studied Ancient History for a time I love reading about the Greek influence in the Med. I’m yet to visit Sicily and thoroughly enjoyed your post. 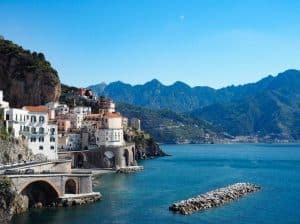 I rarely come across travel articles about Sicily, yet the island fascinates me. I’m such a fan of ancient history. How did you learn about this site? What would be the best month to visit the Valley of the Temples, for photography purposes? I guess, is it best there when the landscape is most verdant? Hi John, I would definitely visit in spring or early summer when there are flowers blooming, the temperatures are milder and there are fewer crowds. If you are really keen on the night shots then you will need to visit in summer. Hope you make it to Agrigento soon!